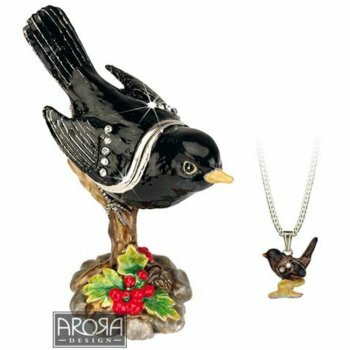 Our Blackbird ornament would make a fantastic gift idea for anyone who loves birds. The blackbird has been hand cast in pewter and painted with enamels before being embellished with Austrian crystals. Lift up the back and inside is a blackbird pendant on a chain. Gift boxed.